In his final post, Stipe, 58, shared two short clips of crickets chirping to convey that his activity on the app had ended. In a caption next to the the videos the musician wrote: “So, no dis to anyone here. “I maintain that we deserve better platforms for expression and communion, as public and private spaces where we can gather and talk to each other (without feeling or sensing the obvious). “I know that someone not too far away is a breath away from presenting this next level humanist platform — and I cannot wait to rejoin the conversation. “Until then, vote and be heard. Question everything, nothing is real anymore except the obvious. Even question that. Thanks for looking! The Losing My Religion singer had previously revealed his intention to quit Instagram in August. He told BBC programme Newsnight: “(Social media) is definitely changing the way we approach each other and the way we approach problems. “Politics has been shaped by it, certainly in my country. We have a commander-in-chief who, rather than doing face-to-face interviews like this, would rather just tweet, which I find repellent and diminishing. “I’m leaving Instagram this week in fact, I’ve had enough of it. I think that we deserve better. Stipe added that he had never been on Facebook and had no interest in it. Stipe’s final post on his official Instagram profile, which has 113,000 followers, had attracted almost 5,000 likes nine hours after it was published. His stance received largely supportive comments from other users though many of the artist’s fans expressed sadness at his exit. 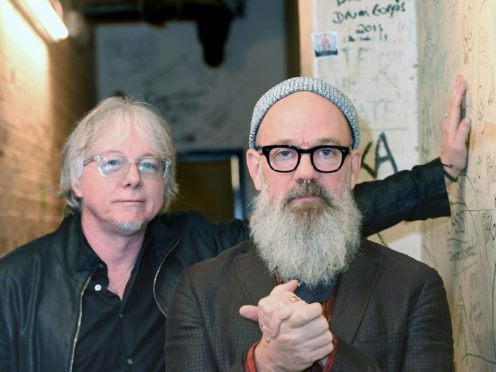 Rock band R.E.M. disbanded amicably in September 2011.